Tall gladiolus make great plants for the back of a sunny bed. When grown primarily for cutting purposes, gladioli are often grown in garden beds so the corms can easily be lifted and stored while dormant. Gladioli have few serious problems with insects and diseases. Discard corms that show signs of rotting, as well as those from stunted plants, which may be infected with any of several viruses. 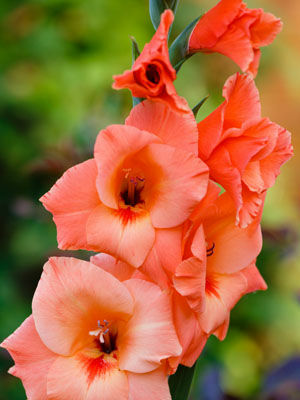 Gladioli are best recommended as annuals in the tropics and subtropics.